There are a few cities in the world with organized Beatles tours, Liverpool of course, London of course, Hamburg, New York and Los Angeles. In 2005 I had the pleasure of attending a New York Beatles walking tour, guided by Trina Yannicos, and I have attended Richard Porter's London Beatlewalks several times. Liverpool and Hamburg I have mainly explored on my own. You can explore a few Beatles sights in Los Angeles by walking, but most sights are far apart, so the best option is to do a tour by car. As I was the only participant on Gillian's Beatles tour that day, I had the privilege of being driven around in her own trusty Toyota Camry, having her undivided attention. She started off by asking me about my level of Beatles knowledge, which was a good way both to start to get to know each other, and also helped her with her presentation of the sights she was going to show me. Gillian is a down to earth kinda gal (as you'd expect from a Merseysider), and also works as a Beatles news reporter for 97.1 KLSX and 95.5 KLOS Breakfast with the Beatles, among others. If you've ever been on a Beatles tour or if you have travelled to see a Beatles sight, you'll know that seeing the places you've previously just read about, transforms your inner vision from the mythical to the down-to-earth. And no, seeing a place on TV doesn't accomplish this. The Capitol Tower is a building you will have come across quite a few times if you're a Beatles fan. The last Beatles related use of this location was when Paul McCartney finally got his "Hollywood Walk Of Fame" star just outside the building last February, and he also gave a invitation only concert in the building's own studio the same day. In the above video you'll see Ringo Starr and Harry Nilsson make use of the rooftop of the building for the music video of "Only You" back in 1974. 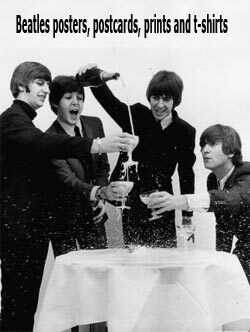 Ringo revisited the very same rooftop in 2007 to hoist the "Help!" flag (see video). If you want to see a bit more of it, here's a film from 1958. When I finally came around to see the Capitol Tower for myself, I was amazed over how small it really was. Please, no "that's a nice hat" remarks! Just outside the reception of the building, they have gathered together the four individual Beatle "walk of fame" stars. 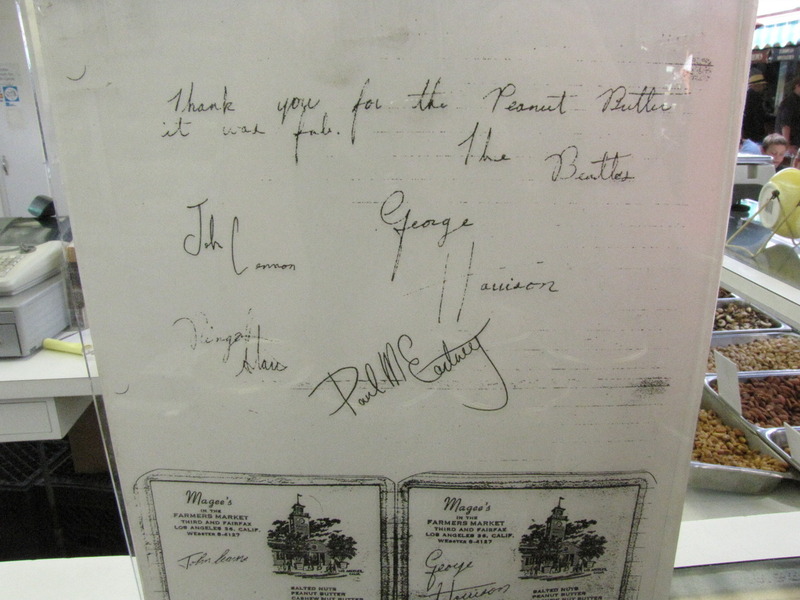 George, Ringo and Paul had their stars fairly recently, John was the first one of them to get an individual star. The various stars were scattered around earlier, but are now collected one after another. Only Ringo and Paul were around to appreciate this token when they were both alive, the other two are posthumous stars. The order is John, George, Ringo, Paul. Another nice building to visit is the former A&M recording studios where Phil Spector produced the sessions for John Lennon's "Rock'n'Roll" album. Currently, the building houses the Jim Henson (of Muppets fame) studios. It also used to be Charlie Chaplin's studios way back. A&M converted two of the old sound stages and Chaplin's swimming pool into a recording studio. The view from a car, notice the statue of Kermit. 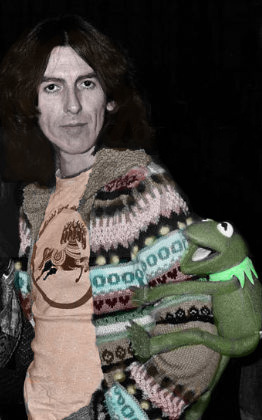 Of course, Kermit the frog was as wild about the Beatles as we are. 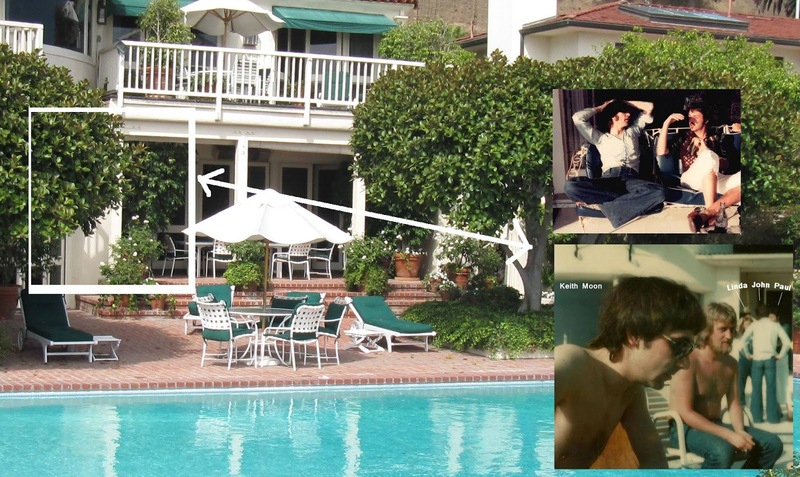 Of course, George also recorded at this studio, which is located at 1416 North La Brea Avenue in Hollywood. The Police filmed their "Every Breath You Take" video here, and in 1985, the USA for Africa hit single and video "We Are the World" was recorded there. 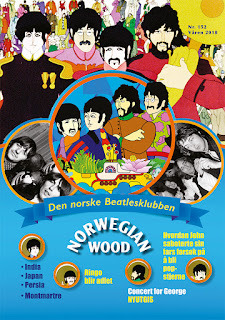 The Beatles played several concerts at the Hollywood Bowl in 1964 and 1965, as commemorated on an official LP and cassette release in 1977. When I visited the hills overlooking Hollywood, I realised that the recording equipment from Capitol records didn't have a long way to travel in order to capture these concerts on tape. You'll notice the Capitol Records tower in the upper left corner and the Hollywood Bowl at the bottom right. Of course, I couldn't visit Hollywood without seeing a show at the Hollywood Bowl, so we booked tickets for a Grease singalong at the venue, the day before my Beatles tour with Gillian. Here's a photo taken at that occasion, I took the liberty of replacing the view of the Grease scene on stage with a more appropriate scene for this blog. Although the dubious look of the signatures (Neil Aspinall's, perhaps?) seems to rule out that they signed in person, I'm sure they still meant to thank for the peanut butter. Gillian speculated that this Elvis Presley favourite had yet to make it to British shops back in the day, so this may have been the fabs first encounter with the spread. I've always enjoyed peanut butter myself, and have since the sixties, so it was certainly available here in Norway. During our trip, Gillian was playing mix tapes (yes, they were actually cassette tapes!) while we were driving, and every time we approached a new sight, miraculously an appropriate song would start to play. She must have spent acres of time accomplishing just the right mix! But this meant that when I heard "Blue Jay Way" on the stereo (not a favourite of Gillian's), I knew what was around the corner. Her detective work had also provided us with the exact location of the house where George wrote the song, but she made me promise not to bring it further. After all, it's her business secret. There was no fog upon LA that day, but the city certainly presented itself in a haze from this particular point of view. Another house Gillian showed me, was the very house where the one and only meeting between the Beatles and Elvis Presley took place. And, funnily enough, over at the Hollywood Walk of Fame, Elvis' and the Beatles' stars are placed right next to each other. I doubt that Elvis is very pleased with this, after all, he thought they corrupted the youth, if we should believe these tales. I won't go into more detail about the tour, suffice to say that we started at 10 am and finished just before 5 pm, so yes - there are certainly a lot of Beatles sights to be seen and this tour is worth every cent. The tour I got was quite extended, regular Beatles tours last 3,5 - 4 hours. If you are planning to visit LA or even if you're an LA resident, you'll want to tag along. Gillian has met a number of Beatles people during her time and also as a news reporter for several radio stations, and she'll share her anecdotes with you. Here are some of the people she's met: Paul & Linda McCartney, all the McCartney children, Ringo Starr, Neil Aspinall, Dhani Harrison, Denny Laine, Henry McCullouch, Laurence Juber, Peter & Gordon, Joey Molland, Barbara Bach, Olivia Harrison, Yoko Ono ... and lots more. The highlight for me? After Hollywood Bowl, probably this pool. I love it!!! I went to L.A. in 2009 and saw a few sights, but not very many. My mom and I were just talking about doing a Vegas (to see Love) and onto L.A. trip and if the Beatles tour there was worth our while. It sounds like it is! Time to book it for next summer. I hope the Ringo exhibit get extended. We took a tour with Gillian and it is the best. Recommend it to anybody visiting LA and love the Beatles. We took the tour a few years back and it is a blast. Besides Blue Jay Way, my favorite stop was the house where Elvis and the Beatles met. What an excellent review of the tour. Thank you so very much. I'm glad you came on the tour as it was truly wonderful and interesting to meet you. This was written quite well and gives a very accurate and inviting summary of Gillian's Beatles History Tour!! I've taken it and can say it truly is "A TIME GUARANTED FOR ALL" who take the time!! Very enjoyable psychogeographic exploration of Beatles LA! Especially that last photo. Saw the top one before but not the one with Moon. Blog is awesome by the way!! Very cool article! And yes, the New York Beatles tour still exists. It's now run by Susan Ryan. Thank you Robin, good to know! 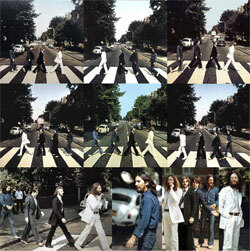 The New York Beatles tour has a web page here. Everyone's taking an opportunity to jump in with a plug. I've been on Gillian's tour three times, and her interaction with her guests makes it seem like a new tour every time. 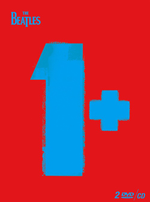 This is a fab way to spend a half-day with other Beatle fans!